Wednesday, 16 January 2019, 2:46p.m. A doctor accused of murdering a Dunedin teenager has failed in a bid to have his trial heard outside the southern city. Venod Skantha, 30, is charged with the murder of 16-year-old Amber-Rose Rush, who was found dead in her Corstorphine home on February 2. Skantha - then a doctor at Dunedin Hospital - was charged days later and has pleaded not guilty to that as well as a count of indecent assault and four of threatening to kill. He applied for a change in trial venue with his lawyer, Jonathan Eaton QC, saying it needed to be "away from Dunedin". ''Whether that's to Christchurch or Wellington or whatever; it'll be away from Dunedin,'' he said. The High Court released its decision on the application today. It ruled Skantha will face trial in Dunedin. The decision regarding the application, made last year, was published on the High Court website today. "The High Court has declined an application for the trial of Dr Skantha to be moved away from Dunedin," the site stated. "Justice Nation held that it will be possible to empanel a jury for Dr Skantha's trial in Dunedin that will be able to keep to their judicial promise to reach a verdict solely on the evidence that is put before them. "Justice Nation said he was satisfied that it would be possible to hold Dr Skantha's trial in Dunedin before a jury which will be able to reach a verdict solely on the evidence, uninfluenced by feelings of prejudice or sympathy." Tragically, Amber's mother Lisa Rush also died last year. 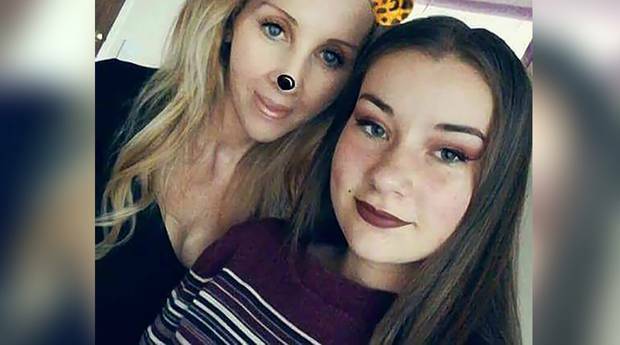 The mother of the slain teen died in what is believed to be a suspected suicide just four months after the alleged murder.